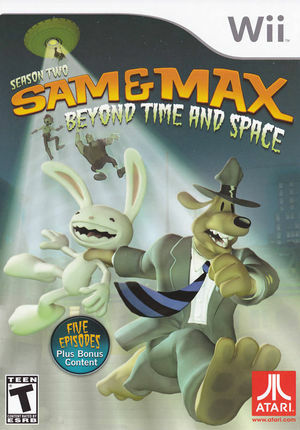 Sam & Max: Season 2: Beyond Time and Space, is an episodic series of adventure games by Telltale Games based around the characters of the Sam & Max comic series created by Steve Purcell and follows from Sam & Max Save the World. The graph below charts the compatibility with Sam & Max: Season 2: Beyond Time and Space since Dolphin's 2.0 release, listing revisions only where a compatibility change occurred. This page was last edited on 13 January 2018, at 13:07.